Biochar is a type of bio energy produced by the incomplete burning of biomass used as a fertilizer and to sequester carbon. Biochar is a type of bioenergy produced by the incomplete burning of biomass (pyrolysis). Biochar is often promoted for its potential to improve soil properties and fertility as well as sequester carbon “Bio-Char (Pyrolysis)”, Washington State University: Center for Sustaining Agriculture and Natural Resources. http://csanr.wsu.edu/biochar/ “Bio-Char (Pyrolysis)”, Washington State University: Center for Sustaining Agriculture and Natural Resources. http://csanr.wsu.edu/biochar/ . Biochar outshines all other organic soil material in its ability to attract and retain water and nutrients, as well as holding phosphorous and agrochemicals. Biochar increases plant health and minimizes fertilizer run-off into surface water and ground- water. The material is relatively inert and therefore persists in soil far longer than any other organic soil additives. Because biochar lasts 100s to 1000s of years, its benefits of nutrient and water retention and overall soil porosity continue to work over long periods of time, unlike common fertilizers and conditioners. When added to soil, biochar improves plant growth and crop yields while reducing the total fertilizer required. Biochar conditioned soils also reduces N2O off-gassing by 50-80%. Pyrolysis systems include retorts to hold the biomass without allowing oxygen. Ventilation arrangement is made for pyrolysis gases to escape. 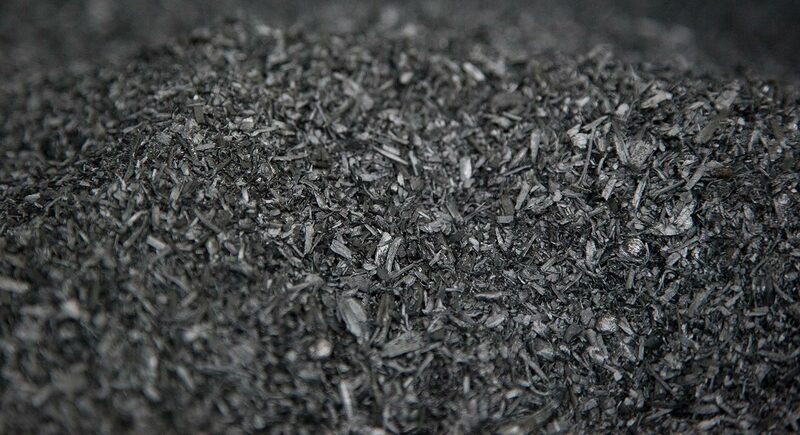 Pyrolysis temperature (greater or equal to) 320c is needed for making biochar. Once temperature in retort reaches pyrolysis zone, pyrolysis gases (syngases) effuse and the process becomes self sustaining. This process is more suitable for making biochar as it tends to operate excluding oxygen. The less the interference of oxygen, the more the carbon is not burnt and the better for biochar production Gaunt, John L.; Lehmann, Johannes (2008). "Energy Balance and Emissions Associated with Biochar Sequestration and pyrolysis Bioenergy Production". Environmental Sciences & Technologies 42 Gaunt, John L.; Lehmann, Johannes (2008). "Energy Balance and Emissions Associated with Biochar Sequestration and pyrolysis Bioenergy Production". Environmental Sciences & Technologies 42 . Gasification systems produce less amount of biochar in a directly heated reaction vessel with air entrance. With its ability to potentially retain vast amounts of carbon and return it into the earth, biochar can be a valuable tool for combatting climate change International Energy Agency (IEA). Technology Roadmap. 2013. http://www.iea.org/publications/freepublications/publication/technologyroadmapcarboncaptureandstorage.pdf International Energy Agency (IEA). Technology Roadmap. 2013. http://www.iea.org/publications/freepublications/publication/technologyroadmapcarboncaptureandstorage.pdf  “Issues related to mitigation in the long term context”, In Climate Change 2007: Mitigation. Contribution of Working Group III to the Fourth Assessment Report of the Inter-governmental Panel on Climate Change [B. Metz, O.R. Davidson, P.R. Bosch, R. Dave, L.A. Meyer (eds)], Cambridge University Press, Cambridge “Issues related to mitigation in the long term context”, In Climate Change 2007: Mitigation. Contribution of Working Group III to the Fourth Assessment Report of the Inter-governmental Panel on Climate Change [B. Metz, O.R. Davidson, P.R. Bosch, R. Dave, L.A. Meyer (eds)], Cambridge University Press, Cambridge . Additionally, its benefits as a fertilizer increase its economic value as well as bolstering the broader production of biomass as an energy source International Biochar Initiative. http://www.biochar-international.org/ International Biochar Initiative. http://www.biochar-international.org/ . Sorry, we do not yet have a video specifically for Biochar. We are adding new videos to StudentEnergy.org weekly, but in the meantime check out this video on Biomass. Pyrolysis is the process of heating organic material at high temperatures in the absence of oxygen. Energy enables us to manufacture products. Products are broader than what you might think of as goods like clothing and homewards, it also includes the agricultural products that nourish us and the materials we use to build our homes.